Scientist and moon-exploration advocate Paul Spudis, who died on Aug. 29, 2018. 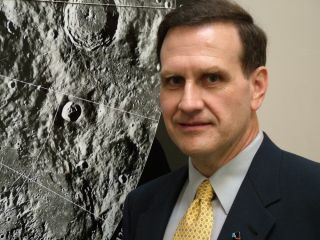 Paul Spudis was a strong advocate for commercial activities on the moon. Artist's illustration of a moon settlement.